Experience the world of management consulting already today! Be part of a four week journey of problem solving trainings, personal development sessions, and hands-on team work with McKinsey colleagues. 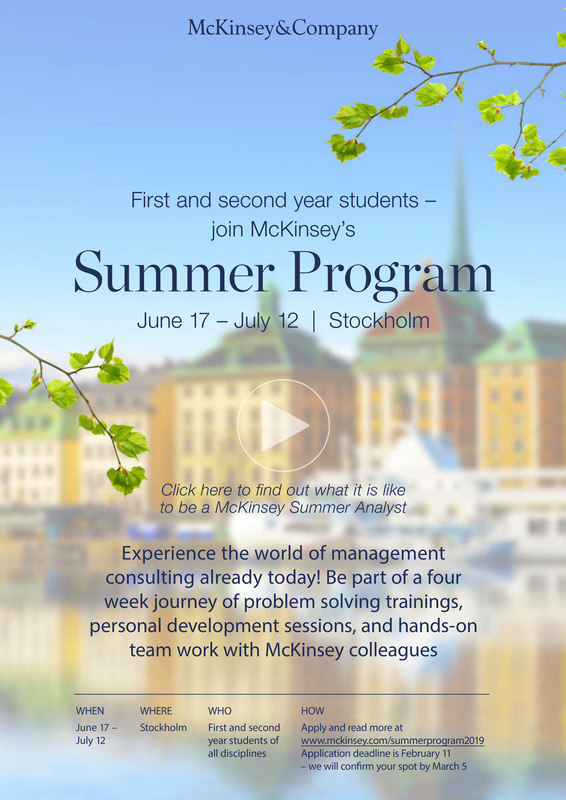 Read more and apply at www.mckinsey.com/summerprogram2019, by February 11.